Hello everyone, it’s a lovely day here on the Isle of Wight. There are lots of crafty things I need to be getting on with but first I thought I would share a couple of my Mother’s Day makes just incase you need some last minute inspiration! This make was made for Cardmaking and Papercrafts online Design Team. 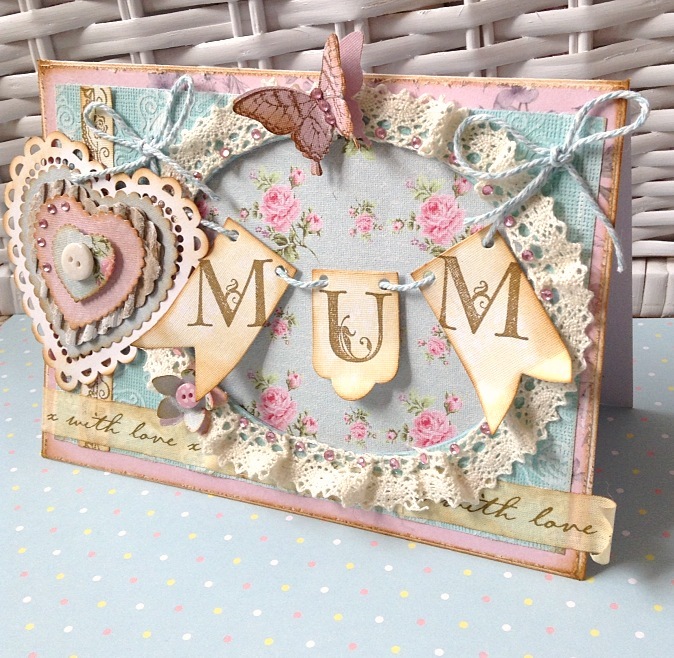 I mainly used the fabulous Vintage Notes collection from docrafts. I love the linen look papers and embellishments in this range and they’re perfect for creating a shabby chic look. 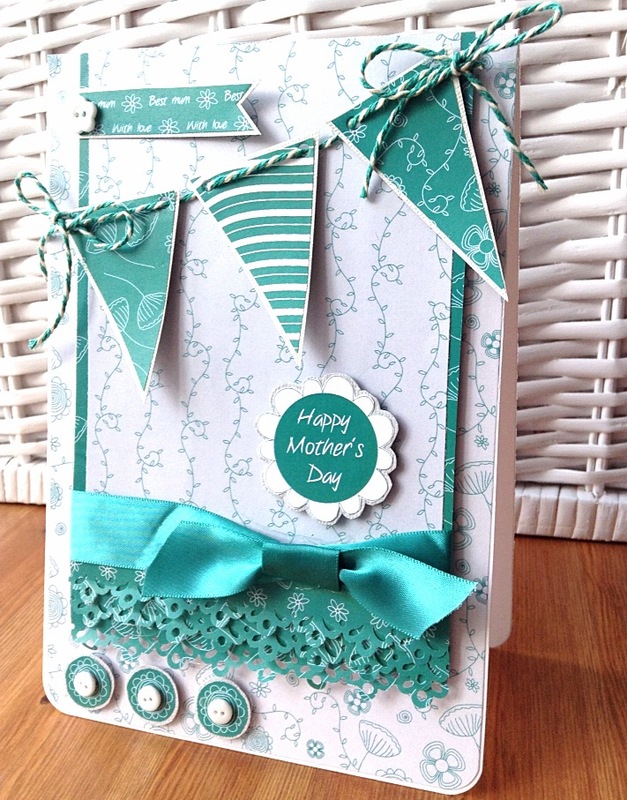 There are full instructions of how to make this card over at Cardmaking & PaperCraft if you would like to have a go! My second card is a very quick and easy make using printable papers from docrafts Creativity Club. I’m lucky enough to be part of their design team so I access to an array of lovely free papers including this Dainty Swirl range. For a small fee every year you can access papers, sketches, exclusive projects and Creativity TV. Why not pop over to the docrafts website and take a look? Right……my craft room is calling! Beautiful cards as always Sarah, love the Mother’s Day card.